(9A/AYD) (Monterrey) 2006 - 2008. Photos. Framable Color Prints and Posters. Digital Sharp Images. Aviation Gifts. Slide Shows. 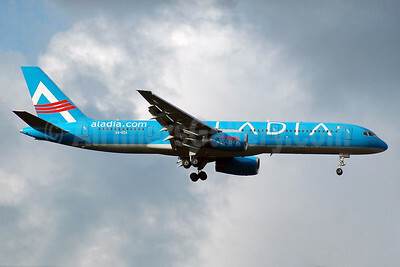 Aladia Airlines Boeing 757-2G5 XA-DIA (msn 23928) CUN (Rurik Enriquez). Image: 904882. 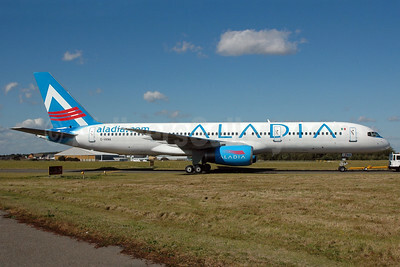 Aladia Airlines Boeing 757-2Y0 G-VKNA (XA-MTY) (msn 25240) (XL Airways colors) SEN (Simon Murdoch). Image: 904881. 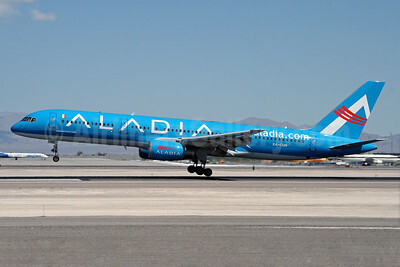 Aladia Airlines Boeing 757-225 XA-CUN (msn 22612) LAS (Michael B. Ing). Image: 905457.